Hurricane Lane barreled towards Hawaii on Wednesday, unleashing powerful winds at 155 miles per hour and prompting authorities to issue a warning and shut down all public schools. Though the Category-4 storm is expected to weaken as it moves closer, experts predict parts of the Big Island will be lashed by fierce gusts, waves as high as 25 feet, and rain. 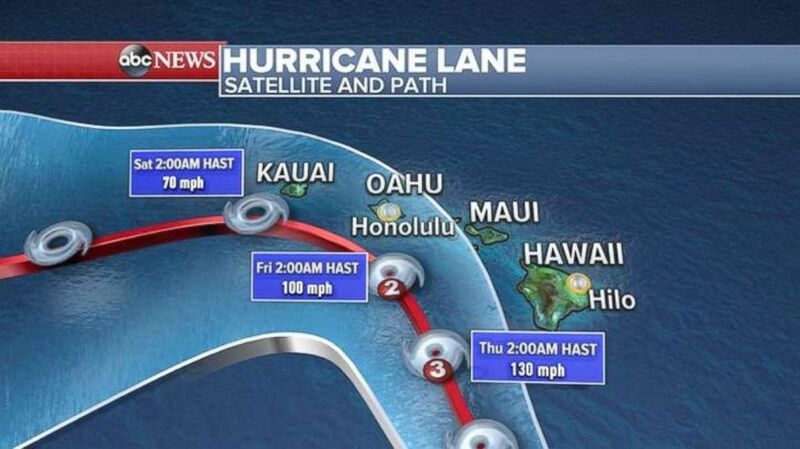 An ABC News weather map shows the path of Hurricane Lane for Hawaii. If you are in the hurricane, the hurricane conditions could last 12 to 18 hours, and in a slow-moving hurricane, up to 24 hours. The hurricane itself, from formation to its deterioration, can last in the ocean for weeks. It can take up to a week for hurricanes to form, and some tropical cyclones never make it to hurricane status. If you’re relying on the weather to know when a hurricane is coming, often you won’t get any indication at all. The day before a hurricane could have sunny skies with calm winds. That’s why you should listen to National Oceanic and Atmospheric Administration (NOAA) weather radio or pay attention to warnings by authorities. This NASA satellite imagery shows Hurricane Lane in the Central Pacific Ocean southeast of the Hawaiian Islands, Aug. 21, 2018. 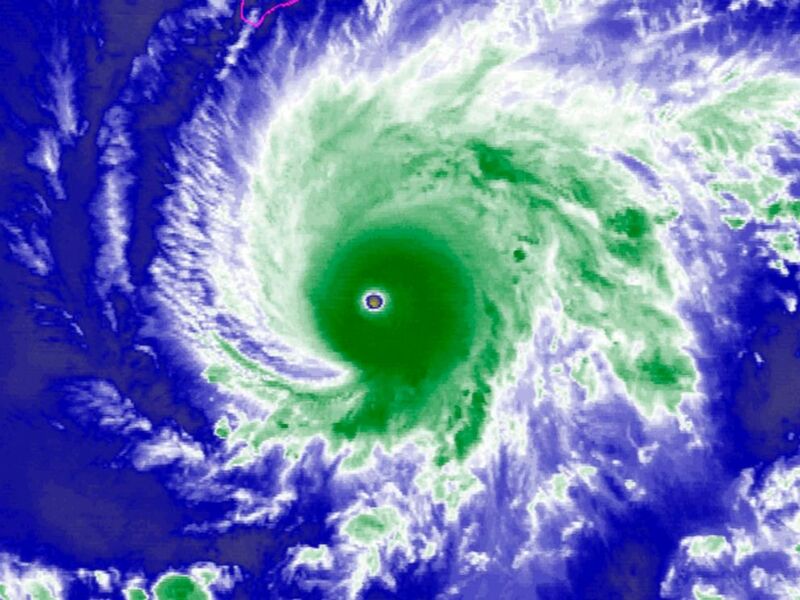 How many hurricanes will there be in 2018? According to the latest August update from NOAA’s National Hurricane Center, there will be four to seven hurricanes in total this season, which ends Nov. 30. So far, only two have hit this season. On average, six hurricanes form in the Atlantic every year.